Because we do listen, today’s feature article is most especially for Shoeb Siddiqui, in response to his request for a story on the importance of structuring and segmenting audience in digital publishing. 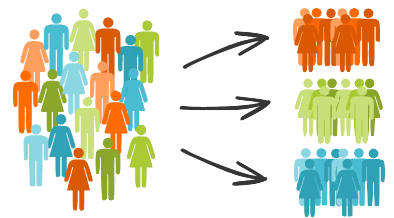 Audience segmentation often is a catalyst for monetization since it makes actions strategic for readers with similar behaviors and preferences. For instance, highly engaged health aficionados may have a very high likelihood of subscribing if presented with fitness-themed offers. You may also find that a major chunk of your digital audience is “fly-bys” with a very low propensity to subscribe. In this case, the segment should be enticed to come back to your digital publication with a targeted advertising or content message. And for visitors who opt out of ads, access can be offered, instead of free content, in exchange for registration. These examples show that segmenting your audience and understanding the relative value of your segments are crucial in maximising your total digital revenue. And doing this requires combining individual readers into large buying units to ensure your digital publishing is both manageable and profitable. How about you? What specific stories would you like us to feature? The economics of the press are changing from an advertising-dominant revenue model to one in which the audience is the primary revenue source. This is not a new business model for news publishers, but one that was used successfully prior to the era of national print advertising. Before the growth in print advertising revenue about 100 years ago, newspapers received most of their revenue from their audiences, and they likely will again as print advertisers move to digital media. Publishers leading in the transition to the new digital-centric business models, including the Financial Times, The Economist, and The New York Times, all have more audience revenue than advertising revenue. This transition in revenue sources is due to two market forces that are the result of the Internet’s emergence: the proliferation of advertising opportunities outside of the print medium and the expansion of the market reach of publishers. Marketing has become a data-driven activity with advertisers seeking greater targeting and measurable benefits from their marketing investment, which is leading them in ever-greater numbers to focus on digital advertising channels at the expense of print. This is true despite considerable evidence that print provides a higher return on investment than other media. Just as the Internet enables targeted advertising, it also expands the reach of publishers outside of their traditional markets, which were defined by their print circulation footprint. Even though the likelihood of monetizing audiences decreases as the distance from their direct market increases, the marginal cost of reaching these remote audiences is close to zero, so it is profitable to service customers wherever they may be if they read via digital platforms. This shift in revenue sources for publishers has profound implications for the way that media companies manage their businesses, and it will require a new set of capabilities for news publications to succeed. Specifically, publishers will need to understand their customers, segment them based on their preferences and price elasticity, develop products that appeal to individual segments and target them for acquisition, upsell and retention offers. Since advertising will remain an important source of revenue, improved audience metrics will be important for publishers to sell targeted impressions to advertisers at premium prices. The first step in this process is customer segmentation. Segments can be defined using many different characteristics, but the most important for revenue growth is to group customers based on their product preferences and price elasticity. Identifying product attributes that are very important to one group of customers but not to another enables pricing and marketing differentiation through product design or bundling of products and services. Pubishers need to design products and bundles to appeal to specific customer segments and pair them with pricing offers designed for their valuation of the content. This product design and pricing strategy leads to greater subscription volumes and audience revenue. As publishers’ segmentation and marketing capabilities improve, the degree of customer segmentation can increase, leading to more focused customer groups that are more numerous with fewer customers in each. Eventually, as other industries have done, publishers can begin to treat each customer as his or her own segment, subject to the practical limitations of campaign activation and implementation. As publishers begin the process of understanding their audiences at the level of the individual customer, whether they are paying customers or anonymous visitors on their website, they should start their analytics journey with the end in mind and work backwards. Publishers need to understand what decisions will be affected by the analysis, what analysis will be completed and what data are necessary to answer the specific questions addressed. That process will enable them to focus on getting the right data from the outset, which should save time and money. Publishers in the digital era can survive with a majority of their revenue coming from their audience, just as print publishers did over a century ago. They will need to be innovative and sophisticated marketers using data to understand and deliver the products their customers want and how much they will be willing and able to pay. Read this article on NetNewsCheck, here. Trusted by content providers worldwide, Realview can offer you all of the digital publishing tips, tricks, and tools needed to successfully catapult your brand into the digital space.